Security Camera Solutions for clients of all sizes. 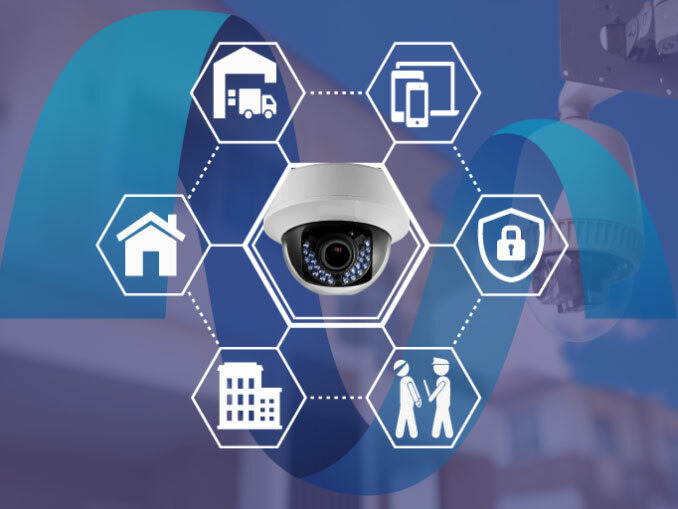 MediaBR Technologies has a team of Security Camera Technicians prepared to deliver the best solution for your project, whether it is for your business or home. Not only we install cameras. We help you through the whole process of your project. Check bellow why hundreds of clients have chosen us as their Security Camera Solutions company. Step 1 – Starting with a Free Assessment to determine the right equipment, number of cameras, and best location to install each camera. Step 2 – Project Approved? We knew you would do it. Let’s move forward. Now it is time to run wires, test, install and align all cameras and setup the recorder (NVR/DVR). Not ready yet or still need some time to the project started? No problem, our estimates are valid for up to 90 days. Step 3 – After the installation process is complete, we will teach you to use/manage your system on both smartphone and recorder (NVR/DVR). You are going to learn how to see your cameras live, playback, take snapshots, copy data to an external memory such a portable or flash drive. Step 4 – Warranty. We love taking care of our clients. Our systems come with a minimum of 2 years limited Warranty and we provide our clients with 60 days labor limited warranty. But that does not mean that after 60 days we will forget about you. If a camera or the recorder stops working, instead of calling the manufacturer to replace it, you can call us. *We will replace the non-functioning part for you and deal with the manufacturer on your behalf. That way you won’t have to wait days to have your system back up and running. As shown above, we take care of everything for you. That way you can focus on doing business or spending time with your family. Ready to contact us now? Good, simple call or text us at 617-807-0100. We are here to help you. Up to date technology – We recommend our clients using an up-to-date technology system such as POE 2K or 4K Camera System. That way you won’t have to worry about replacing your system again for at least 5 years or more. Remote Monitoring and Live View – See your cameras in real time via internet using your Smartphone or Tablet. Night Vision – Capability of seeing in the dark. We even offer color night vision cameras. Motion Detection – Get image alerts on you cellphone of any suspicious activity. High Definition – We work exclusively with cameras of 1080p or higher resolution to assure you high levels of detail, with crisp and clear video. We recommend our clients to use 2K or 4K cameras, these are new generation cameras with really high quality images. Field Of View (FOV) – 75º – 180º For better monitoring wide areas. H.265 and H.264 compression – High Efficiency Video Compression (HEVC or H.265/H.264) compression technology is used by cameras to compress video file sizes without any noticeable difference in quality. Full Metal Camera Housings – Heavy-duty and yet durable metal housings and vandal resistant designs makes business security cameras a dependable choice for year round security that never stops working. Talk with us about getting a customized security camera system. MediaBR Technologies utilizes security solutions that offer secure access, state-of-the-art equipment, and efficient software. Our solutions are affordable and user-friendly. Contact us by phone at 617-807-0100 or fill up our inquiry form above for more information about security camera systems. We are here to better assist you.